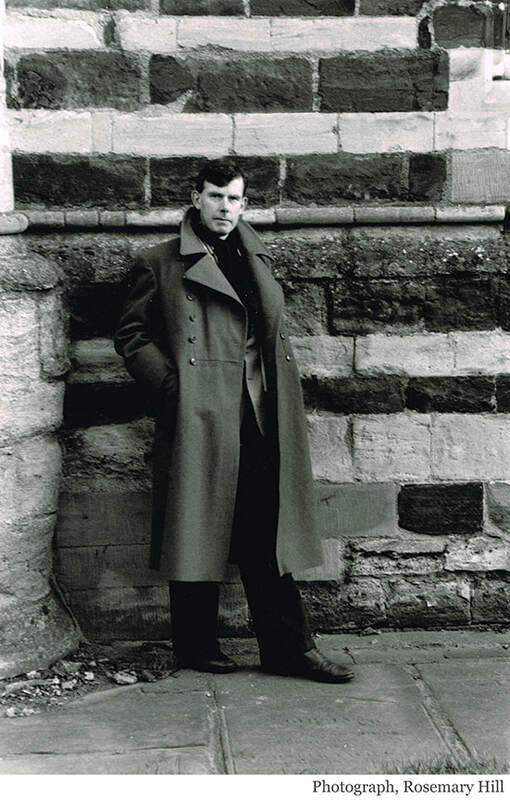 The Society was shocked and saddened to hear of the death on 30th December, of Gavin Stamp, former Professor of the History of Architecture, Hon FRIBA, Hon FRIAS, FSA. Gavin was for many people in the world of architectural history and conservation a hero and a role model. Some knew of him as the Chair of the Twentieth Century Society, others through his long standing allegiance to, and involvement with, the Victorian Society and we, of course, through his loyal support of our own Society, and his zeal and enthusiasm for Pugin and the Gothic Revival generally. In particular, Gavin was an expert - the expert- on the Scott family, that is to say Sir (George) Gilbert Scott, a great admirer and follower of Pugin, who was a major influence on him, his son George Gilbert Scott junior (known as ‘middle Scott’) and also Giles, grandson of Sir Gilbert and famous, for designing, inter alia, Battersea Power Station and the celebrated K2 red telephone kiosks. Gavin’s doctorate was on George Gilbert Scott junior, and resulted in a biography and study, An Architect of Promise, of this architect in 2002. Gothic for the Steam Age, a more recent book, covered the work of the great Sir Gilbert himself. There were many other publications also, not all on the Victorians. Gavin wrote various pieces for the Pugin Society’s journal/newsletter True Principles over the years and, memorably, proposed the toast of the Society, on the happy day in 2015 when the organisation celebrated its twentieth anniversary on shipboard, on the Thames. He also, with the historian and writer Rosemary Hill, Pugin’s biographer, assisted in leading the Pugin Society summer tour in Scotland of 2004, entitled ‘The Romance of Facts’. Earlier, just after the Society had sprung into being, he was instrumental in 1996 in organising another splendid conference and tour, ‘Caledonia Gothica’, north of the border, for the Architectural Heritage Society of Scotland, ‘in conjunction with the newly-founded Pugin Society’, as he wrote in the Preface to the resulting AHSS Journal, again with Rosemary Hill. This event particularly emphasised Pugin’s connections and work in Scotland. I personally remember the thrill of going north for this by train, crossing the great bridges of the Forth and the Tay, and arriving in an atmospheric Dundee, where the conference was based. I recall too the romance and splendour of Taymouth Castle, with its Pugin fittings; a real eye opener. After a varied freelance career in London, publishing, proselytising and campaigning, notably for the great Arts and Crafts church of Holy Trinity, Sloane Street, amongst other important buildings, Gavin was appointed Professor of Architectural History at Glasgow’s Mackintosh School of Art in 1990, where he inspired many students. Amongst his many other activities in support of architecture in Scotland while based in Glasgow, he founded the Alexander Thomson Society in 1991, celebrating Alexander ‘Greek’ Thomson. Although Thomson was no Puginian, as we can see from the appellation ‘Greek’, he was still an important and original Scottish nineteenth-century architect, and one whom Gavin felt had been underappreciated in his home city. In addition to being a writer and television presenter, Gavin was, as some readers may perhaps know, ‘Piloti’, of the Nooks and Corners Column in Private Eye. This was just right for him. He was the voice of conscience in matters architectural and where planning proposals were concerned. Here (and elsewhere) he could speak out, something he was never afraid to do, and, “boldly to the attack” as Pugin once wrote, comment freely. Like Pugin, he had the ability to write with vigour, wit, and heartfelt commitment on issues he felt strongly about, however provocative. It was this integrity which earned him so much respect. I personally have wonderful memories of the tours Gavin led in Europe and North America for the Twentieth Century Society and the Victorian Society – insightful, fascinating, stimulating, original. I only wish I had gone on more. Gavin was a generous and warm supporter of the Pugin Society, giving freely of his time, advice, enthusiasm and - sometimes – sense of outrage. Only last summer he led a memorable walking tour of the work of Sir Gilbert Scott, traversing London from St Mary Abbots in the west, via numerous Scott masterpieces, to a final climax at the St Pancras Midland Grand Hotel. It is a measure of his generosity and commitment to the cause of architectural appreciation that he undertook this, despite increasing health difficulties. By 2014 Gavin had been back in London for some time, and in that year married Rosemary Hill, a very happy union. He continued his freelance activities and work, but very sadly nemesis, in the form of prostate cancer, struck. As an architectural historian and conservationist he adhered firmly to his principles at all times, and, as Pugin had done, nailed his colours to the mast unswervingly. He will be greatly missed, but he has left a fine legacy and enthused and informed so many. The Society sends Rosemary sincere condolences.